If you’ve even spent a few moments in Tartu, you’ll have noticed that students play a huge role in this city’s life. 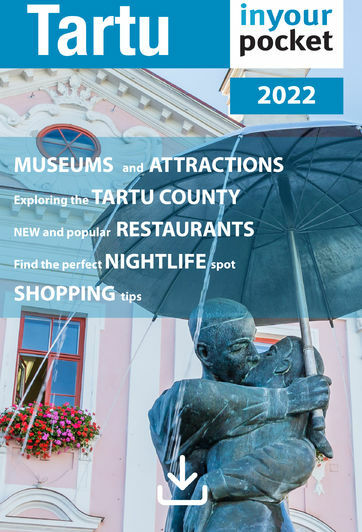 This isn’t a recent development – students have been instrumental to Tartu’s vitality since as far back as 1632 when Sweden’s King Gustavus Adolphus II founded Tartu University, now one of the three oldest universities in northern Europe. Historians have very few details about the life of students in 17th-century Tartu; however we do know that in those days, when Estonia was under Swedish rule, the majority of students were ethnic Swedes or Finns, they came from wealthy backgrounds, took all their courses in Latin and were required to drink about six (yes, six!) litres of beer per day. War and hard times kept the university closed for most of the 18th Century, but in 1802, this time under Tsarist Russian rule, students filled the halls of the university once more. By now instruction was in German as the majority of the students were Baltic Germans, but students of other ethnic backgrounds, including Polish, Russian and Jewish, also attended. It was at this time that the first fraternities, or ‘corporations’ as they’re called here, were formed. The idea behind these organisations was to unite groups of students along ethnic and social lines, actively campaign for their own interests and rights, and quite frankly, have a darned good time. Some of these good times included dueling with swords or pistols, breaking windows, and smoking in the streets, all of which were punishable offences that could result in a stay at one of the university’s four prison cells (visitors can check out the remaining one housed in the University Main Building). In one infamous case, a student hid a bürgher’s horse up in his attic room only to realise that horses can’t walk downstairs. By the mid 1800s, Tartu’s was the largest university in the Russian empire, and many distinguished scientists, doctors, literary figures and educators were produced here. When the 1860s rolled around, ethnic Estonian students had begun making their presence felt, and in 1870 the first Estonian student association was formed. Apart from giving members an excuse to wear funny hats and sashes, drink beer and march through the streets with flags, the Eesti Üliőpilaste Selts or Estonian Students’ Society was initially created to unite all Estonian students, a politically risqué idea at the time. Several years later other Estonian student societies, including corporations, were formed, adding to their voice and solidifying their rightful place at the university. Many of these associations are still in existence today, with Eesti Üliőpilaste Selts being the longest running. The turn of the century brought drastic changes to student culture – the official language of study had switched from German to Russian in 1895, around the same time the first women were finally allowed to attend, and ethnic Estonian students, while still a minority, were rapidly gaining ground. Soon after the independent Estonian Republic was established in 1918, Estonian became the language of instruction and Estonians finally made up the majority of the student population. The Soviet occupation of Estonia, of course, changed everything with its general clampdown on the freedoms that students had previously known. Student societies were banned but continued operations underground and abroad, helping to preserve Estonia’s national identity and keep the ideals of independence alive. During this period the university continued to churn out what are today the country’s most eminent scientists writers, artists, musicians and politicians, but it wasn’t until the late 1980s that students were able to emerge from their cramped dormitories and re-establish the old, pre-war corporations and societies – traditional caps, elaborate drinking songs and all. Even outside the ceremony-filled world of the corporations, today’s students continue to uphold a few centuries-old traditions such as the freshmen, or ‘foxes’ as they are referred to, having to wear paper donkey ears during their first week of classes, a practice thought to go back to the 17th Century. Newer traditions have also come into play, such as washing the head of former professor Karl Ernst von Baer’s statue on Toome Hill with champagne on Devils’ Night (April 30), and passing muster as a true Tartu University student by walking over the Arch Bridge.As you look around the city you can’t help but notice how the students affect Tartu in a positive way. One of the best times to witness them in action is during Tartu’s annual Student Spring days, next held April 25th - May 1st, when they participate in a number of fun activities such as dragon boat races, pillow fights and of course ...beer drinking. Did you know? Estonia’s national flag actually arose from a facet of Tartu’s 19th-century student culture. It in fact belonged to the Eesti Üliőpilaste Selts (Estonian Students’ Society), who were considered the voice of Estonian students and played an active role the independence movement. Officially banned under the Tsarist Russian rule, the flag was flown for the first time over Tartu in 1905 as a symbol of the Estonian national movement, and by the time the War of Independence came around in 1918, the whole country had adopted the blue, black and white tricolour as its own. The newly-formed republic took these colours as its official national flag in 1920.